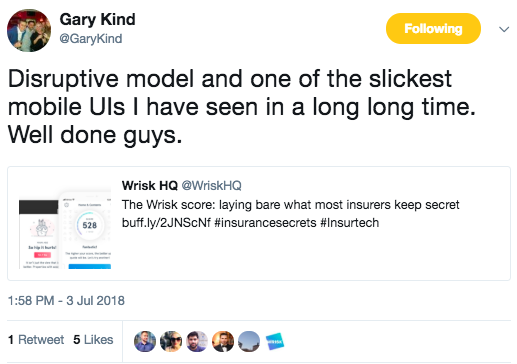 From entering the FCA Sandbox to growing our partnership with BMW, hereâ€™s what the team at Wrisk has been up to so far this year. A bit like dog and cat years, a few months in the life of a startup can feel like an entire year anywhere else. Which is why, amidst all the excitement, itâ€™s sometimes good to stop and reflect too. 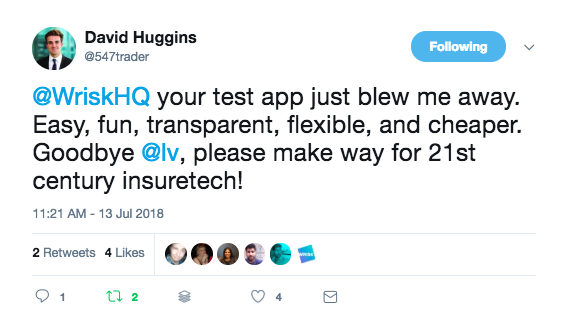 Getting our app into the hands of genuine users was a big moment for us. In the past few months weâ€™ve tested it out with a select group of around 500 people to help us hone our user experience and identify and resolve any issues. This isnâ€™t a dry run â€“ weâ€™re selling real policies to real people. Whatâ€™s more, weâ€™re now in the process of gearing up for an AppStore release, meaning that soon, anyone in the UK will be able to download our app. Our Shoreditch office has recently been organised into three squads, each dedicated to delivering core strategic goals by the end of the year. Our first customer operations cohort are well into their training in our Rainham office. We now have 21 full-time team members in Shoreditch and six in Rainham. 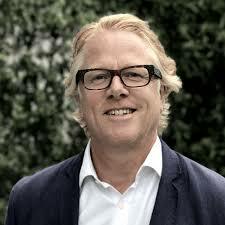 Recent hires include Neil Fletcher (Head of QA), Stewart Duncan (Chief Data Officer) and joining later this month, Nick Williams (Head of Growth). After our first successful crowdfunding round last year we took the bold â€“ some might say risky â€“ decision to crowdfund a second time on Seedrs. Fortunately for us, it paid off! We were overwhelmed by the support we received from over 800 investors across 29 countries. We hit our target in an incredible 1.5 days and raised Â£1m from the crowd in total. Our partnership with BMW continues to go from strength to strength and weâ€™re on track to launch our first joint product together next month. Weâ€™ve got other exciting potential partnerships in the pipeline too, so stay tuned! This year weâ€™ve found ourselves on the pages of The Times, and we were profiled by Forrester and McKinsey. 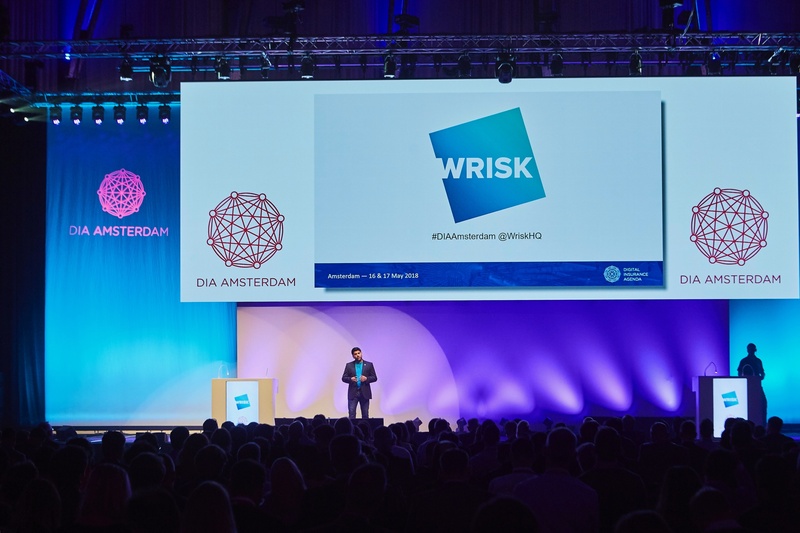 Our Co-Founder, Darius, did a magnificent job presenting on stage at the international DIA insurtech conference in Amsterdam, where Wrisk scooped a prestigious DIAmond Award â€“ for insurtechs that have the most strategic impact. And being invited to talk about Wrisk at Goldman Sachsâ€™ Annual European Financials conference in Frankfurt in June was the icing on the cake! Of course like any fledgling business â€“ or indeed any business at all â€“ we have faced challenges during this period too. These include managing vendors, the limitations of what we want to do versus what we can do with the resources we have, managing our partners' expectations, keeping focus within the team and getting buy-in to key strategies. But at its core, Wrisk is agile and adaptive â€“ we recognise that things change, so weâ€™ve built our business to cope with this as best we can â€“ and weâ€™re looking forward to the next chapter.